Buying or selling real estate is one of the most expensive and important decisions a person will make in a lifetime. There is too much at stake to hire someone who requires on-the-job training. You need someone you can trust for up-to-date information and someone who holds themselves to very high standards. You can rest assured that when David and Erika provide advice to a client, it is with the client's best interest at heart. Their personal philosophy is "If you take care of people, business will take care of itself." "From start to finish David and Erika were fantastic. They sold our home at a price that exceeded our expectations. 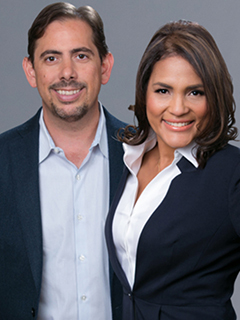 Their experience in what it takes ... more "
"David and Erika Rendino in short are exceptional and awesome realtor professionals. From day one they have taken interest in our sale endeavors and ... more "
"David and Erika Rendino went above and beyond to help us find our perfect home. They drove us all around Santa Rosa and Rohnert Park and went ... more "